We’ve managed our pipelines, nurtured our relationships and closed our deals. Now it’s time to raise a glass in to toast to our joint success. We’ve hit several big milestones this year and we couldn’t have done it without your support. We thank you for being such great customers, for inspiring us to keep developing Yesware to fit your needs, for encouraging us along the way and for letting us know what matters most to you. 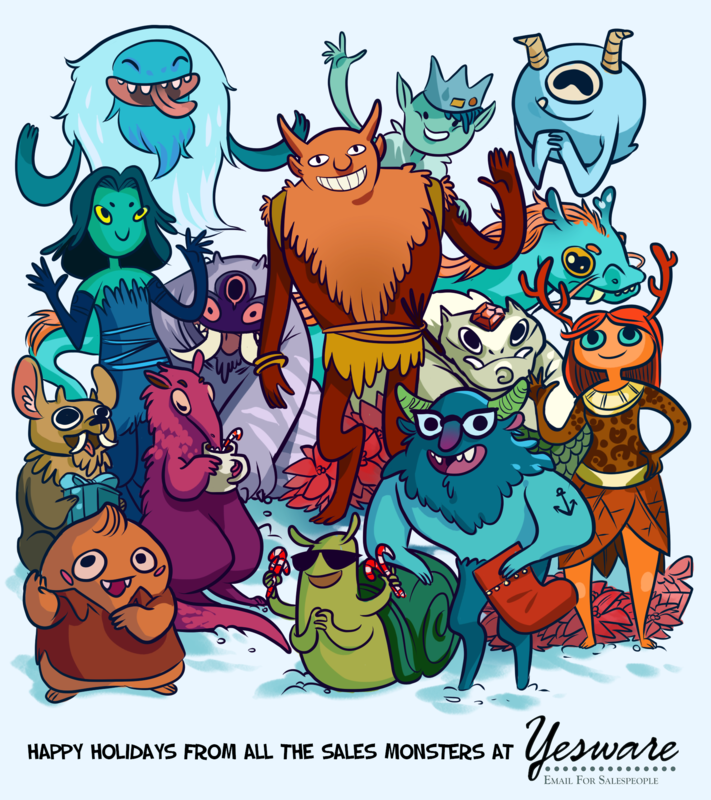 To all you salespeople, and those of you who are in the business of moving people (a little preview of Daniel Pink’s new book: To Sell Is Human), happy holidays and best wishes for a strong 2013!